These cheesy, carb-free latkes might be our new holiday favorite. Oh Trader Joe’s, you are the true love of my life. And while you have always carried those surprsingly high-quality frozen latkes, this year you really brought a Hanukkah miracle: cauliflower latkes. 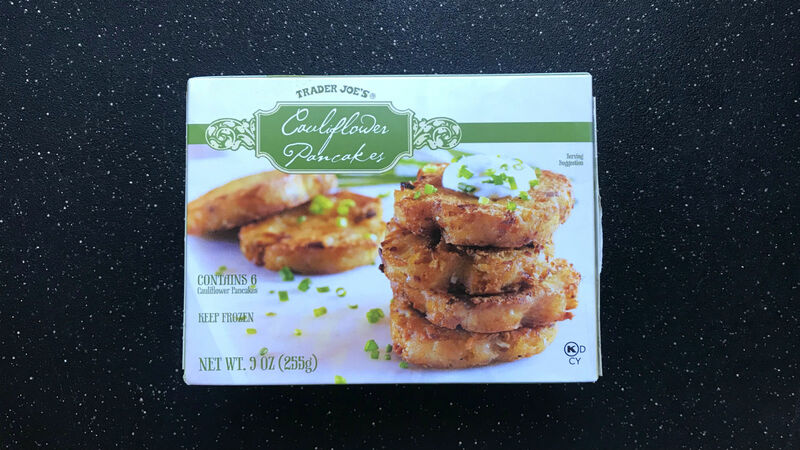 I am always a little skeptical of store-bought latkes, even though Trader Joe’s does consistently bring their A game to Jewish foods. My daughter genuinely enjoys their classic frozen potato latkes. And we also recently tried their cauliflower latkes (technically called pancakes, ok fine fine) made with cauliflower, Parmesan cheese, leeks, and some other stuff I am going to ignore. And they were really delightful. We served them with Greek yogurt and a squeeze of lemon juice, but you could definitely just dollop some sour cream and applesauce on the side and call it a day. Another fun accoutrement: tzaztizki. Just saying. One of the aweome TJs ladies at my local store shared that she actually likes to serve them akin to a veggie burger on a whole wheat bun or English muffin. Brilliant and delicious. In short, they are creamy, flavorful, and definitely taste like latkes. No guilt — go buy some frozen latkes and save yourself a mess. The American supermarket chain is distributing Israel's wildly popular light, crunchy peanut snack. Falafel lovers will be very excited.